The town of Sorrento is the largest and most visited community on the Sorrentine Peninsula. 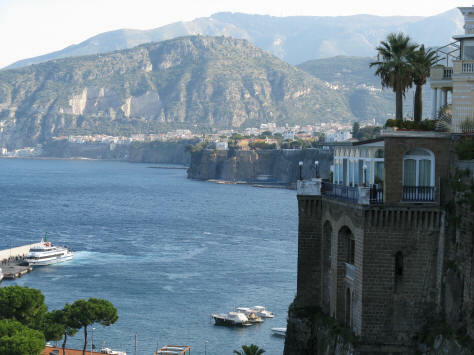 There are numerous hotels and lodgings for tourists available in and around Sorrento Italy. Frequent coach service is available along the Amalfi Coast from Sorrento to Amalfi Italy. Ferry service also operates between the two Italian towns during the tourist season.